Our job, as advisers working within the guidance of the Financial Conduct Authority, is to help our clients insure themselves, their home and their income. If you are honest with yourself, taking the risk to hold a significant debt without suitable insurance in place is just not worth it. We will help you understand the need to be protected, but also the steps you need to take to be happy and confident that you are suitably protected, should something unforeseen happen. A typical monthly cost for Mortgage Payment Protection Insurance is £5.53 a month for every £100 of monthly benefit. A plan which will pay a monthly benefit if you are unable to work due to accident, sickness or disability. We all know of someone who has suffered from Cancer or a Heart Attack. This cover will ensure a lump sum is paid at a time when you need it most. 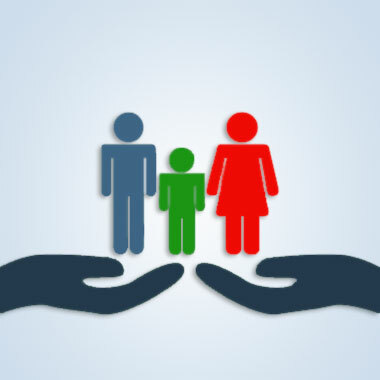 It is vital to have your debts and family protected in the event of death. A plan which will pay a set monthly benefit for up to 2 years should you be made redundant.